Due to manufacturer's restrictions we are unable to ship Brooks products to Great Britain. 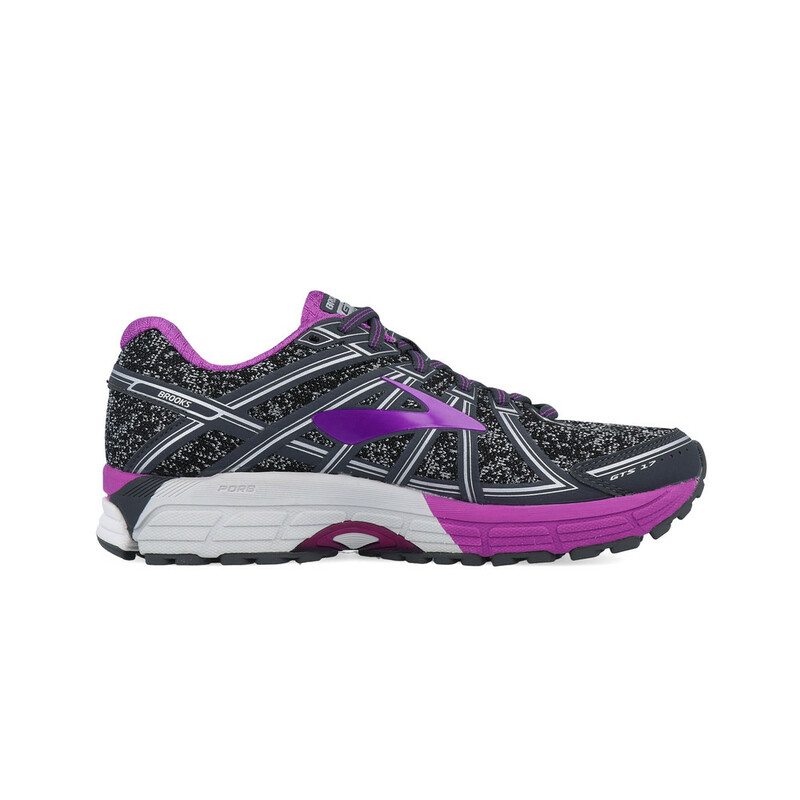 The best-selling Adrenaline GTS running shoe is renowned for its dependable support and ample cushioning, making it the reliable choice for runners looking for an unbelievably smooth and balanced ride. 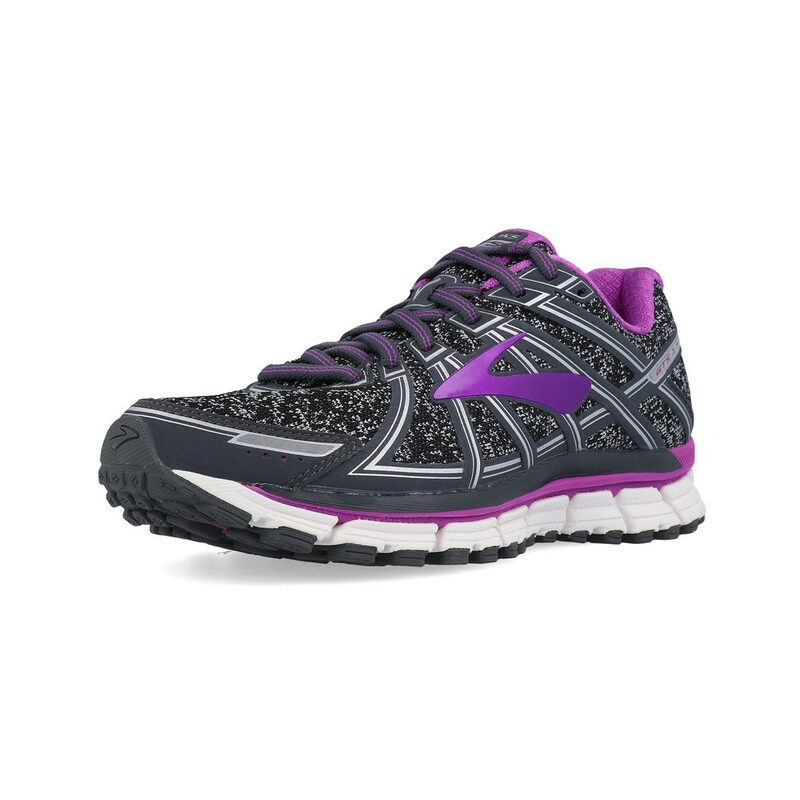 "Comfortable and supportive with lovely colours. What more would you want from shoes?" The upper of the Brooks Adrenaline GTS 17 uses an updated, Air Mesh material that is highly breathable, durable and supportive. 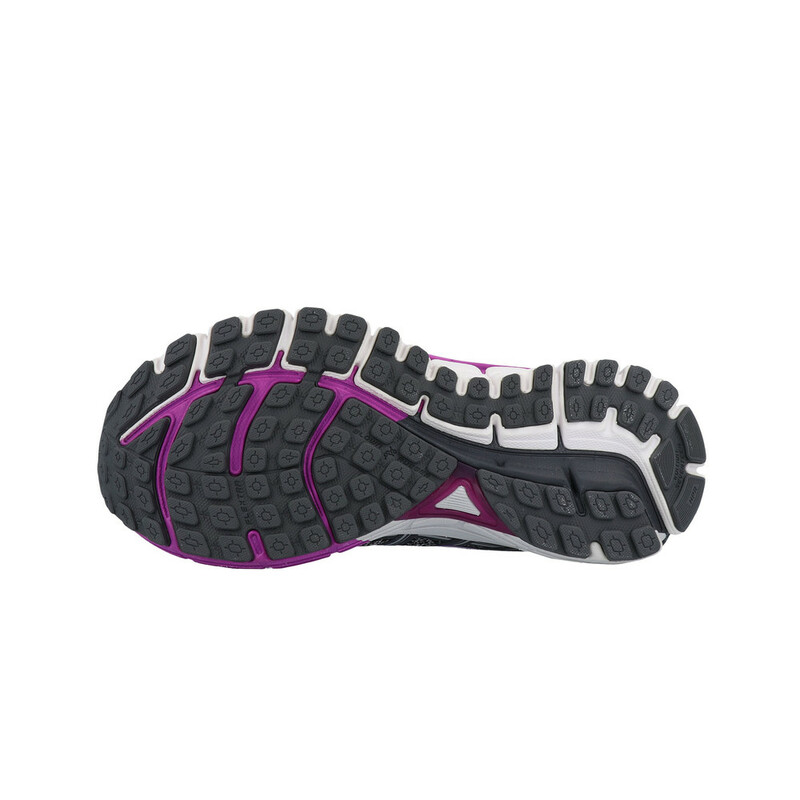 It extends the full structure, conforming to the feet and allows fresh air to permeate the layers, keeping the feet cool and comfortable as you perform. Working in unison, moisture-managing capability's on the interior, are placed into the lining to actively wick sweat vapors away from the surface of the skin for fast drying comfort. 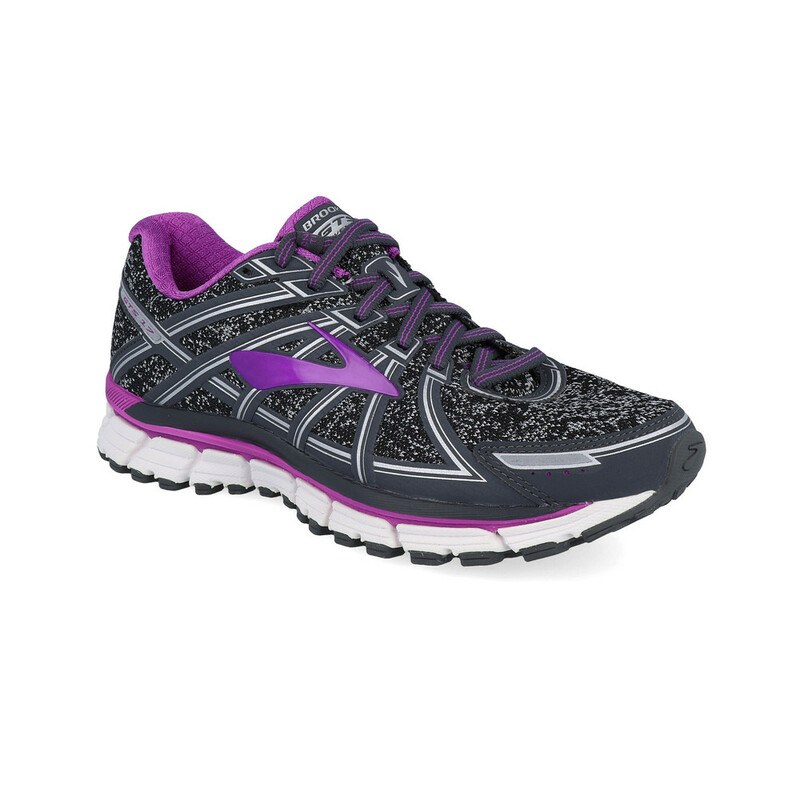 Supporting the Stretchy mesh material, overlays are strategically positioned in the shoe to deliver a secure and snug fit. Extending from the heel through to the forefoot, it works perfectly with the adjustable saddle construction that gives a more secure and personalized midfoot lockdown. The nearly seamless design is set out for an effortless run, reducing irritation while securing the perfect balance of strength, support and soft upper cushioning. Brooks DNA is an innovative and uniquely adaptive cushioning system. By adapting to your specific weight, pace, gait and running surface, DNA offers customised cushioning and adds a spring to your step. Traditional cushioning takes a one-size-fits-all approach, but we know that each runner is different. Brooks DNA was developed to continuously tailor the level of cushioning to your specific needs - even as they change during the run. Brooks DNA is made up of a highly viscous non-Newtonian material or more simply put, a material that adapts to the specific force you apply to it. Part of the brilliance is that this compound was engineered to perform at the molecular level (picture millions of resilient 'nanosprings'). Working alongside the midsole cushioning, The Progressive Diagonal Rollbar (PDRB) reduces excess pronation and guides the body to do its natural movement pattern for added control. The Segmented Crash Pad customises your foot's lay-down to provide amazing cushion and smooth heel-to-toe transition throughout the run. Brooks believe that a key component of maximising your run is to provide the smoothest possible heel-to-toe transition. The Segmented Crash Pad is one technology they use to achieve this goal. Finally, on the outsole, high-abrasion rubber placements deliver reliable traction and sole durability on flat road terrains whether wet or warm. 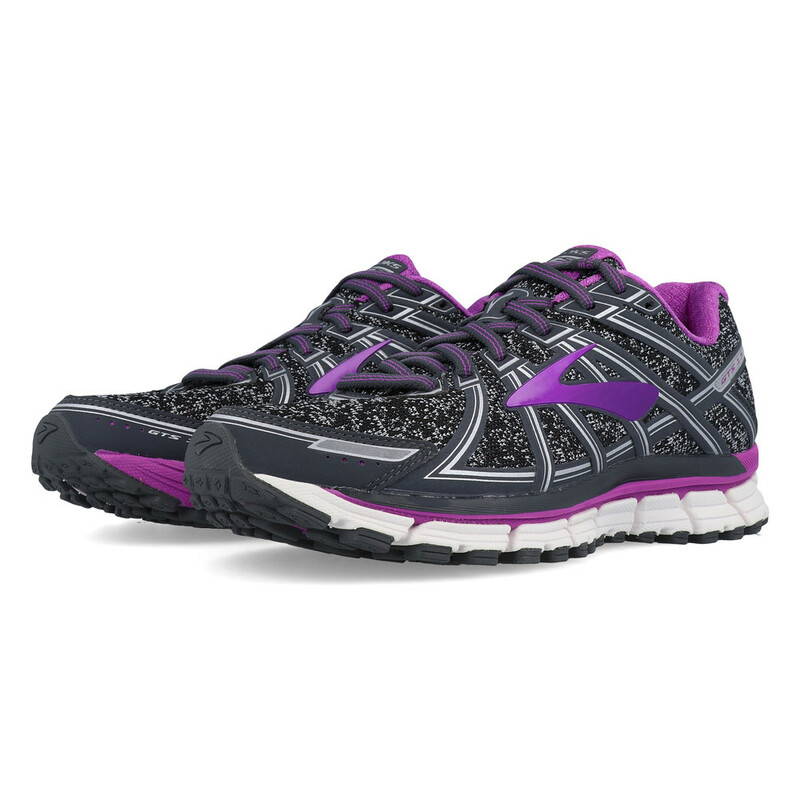 Brooks is an American company that designs high performance men's and women's running shoes that are all built with the right technologies to give you the right fit and function. Every single engineering choice made by Brooks is informed by runners needs and backed by in depth biochemical research. Balancing art, science and runner insight, the products made for you always feature groundbreaking innovations that advance the ride, style, fit and performance of your gear. No matter your speed, style or where you start, Brooks believe you always end up in a happier place when you run. That happy place is Brooks North Star, guiding them to inspire others to run and be active. Through the Run B'Cause program, they're committed to supporting causes that inspire everyone to run and be more active, both in local communities and globally. Donating gear to help fuel the good work of various charities and organisations, Brooks give away product samples and gently worn shoes so that people in need can put their products to good use. Air Mesh Upper - For breathability and a lightweight feel. Moisture Wicking Lining - Releases moisture away from the body, keeping you dry and comfortable. Saddle Construction - Pulls from the heel to wrap the midfoot in a secure fit. Synthetic Overlays - Provides optimal support and security. Biomogo DNA midsole - Dynamically adapts to every step and stride. Segmented Crash Pad - Accommodates any foot landing and delivers smooth transitions. Updated V-groove - Folds deeper inward to disperse impact outward. Progressive Diagonal Rollbar - Guides the body back into its natural motion pattern. High-Abrasion Rubber Placements - Delivers reliable traction and sole durability on flat road terrains.